At @databoxHQ we have focused our mktg efforts on top of funnel content marketing (traffic & signups) at exclusion of almost everything else. Results: 65k sessions & 2500 signups/month, 800 paying customers, 1k DAUs + a line of tech companies who to want to collab w/ us. What it might mean, though, is that inbound-only marketing may no longer be enough. 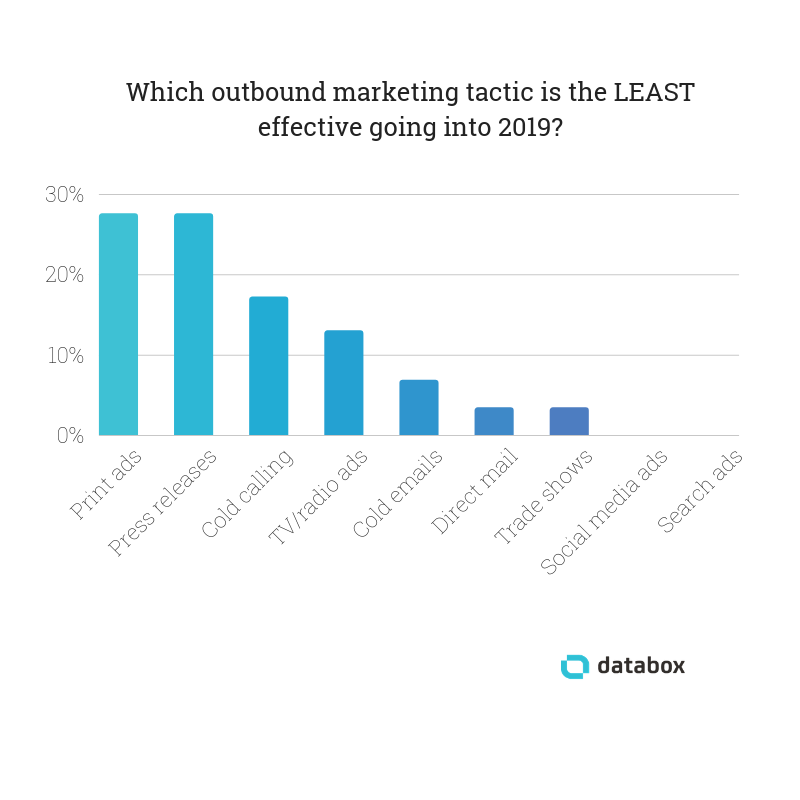 If you struggled last year to hit your marketing goals using inbound-only tactics, 2019 may be the perfect time to incorporate some outbound marketing into your overall strategy. 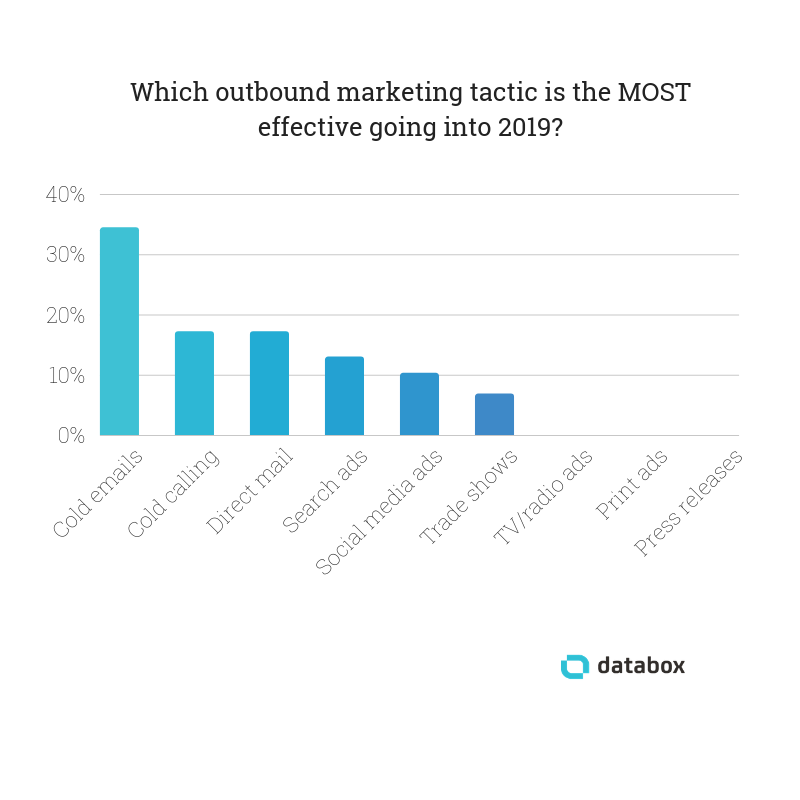 When asked to choose the outbound marketing tactic that they believed was the most effective going into 2019, our respondents selected cold emails, cold calling, direct mail, and search ads as their top picks. We also asked our respondents to describe how they use these tactics in their overall marketing strategies. The result: tons of actionable advice for all of the most effective outbound techniques that you can use to start incorporating outbound into your marketing strategy this year. So how do you make cold outreach more personal and fun? Our respondents offer these tips. Our respondents recommend several different ways to go about doing the research required to make cold outreach a little warmer. Many of our respondents also asserted that the key to successful cold outreach is taking the time to personalize the message. There are several ways to make your cold call and emails more personalized. In our digital world, direct mail marketing may feel outdated, but many of our respondents replied that direct mail marketing is still a great way to generate leads. Direct mail also works well if your business—or a client’s business—isn’t 100% online. Content marketing, SEO, and social media marketing are great inbound tactics for long-term traffic growth. However, they’re not always as effective for short-term traffic growth, particularly if your site/company is relatively new with minimal inbound links and few social followers. 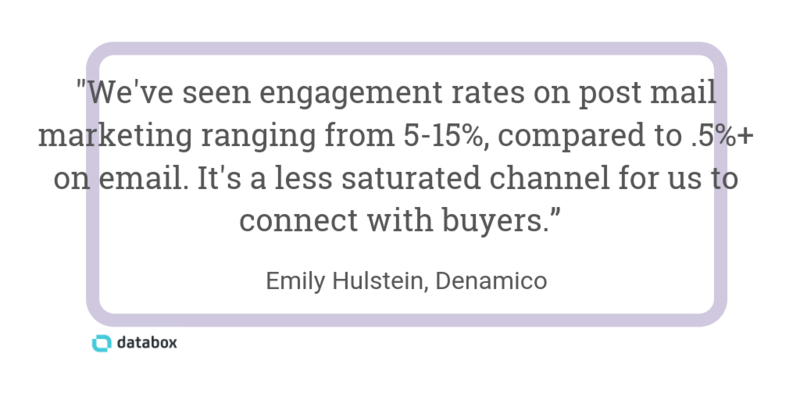 And while ads can help boost your reach and revenue in the short-term, they can also be costly. In good news, our respondents provided lots of tips for keeping advertising costs low. To take advantage of search and social ads without blowing your budget, consider these tips. 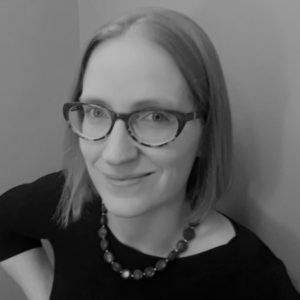 “Going to conferences is a great way to build brand awareness and get face time with potential clients,” says Daniel Lynch of Empathy First Media. Of course, attending conferences isn’t your only option. You can also host your own conference. Maybe you’re not yet up for taking Quanstrom’s advice and adding multiple outbound tactics to your marketing strategy this year. But if you struggled to hit your goals with inbound-only tactics last year, adopting one of these suggested techniques could help you move the needle in 2019.